We strive to establish relationships with families, caregivers, and other professionals to ensure that our client’s needs are met. 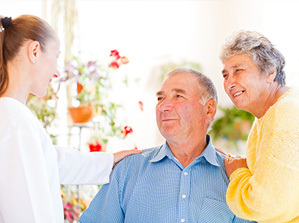 Delivering high quality and ethical intervention to our patients is our primary goal. Because both therapists, Lindsay Thomas and Tara Green are very family oriented, they understand the importance of considering the unique family dynamic to find what works best to address the needs of the individual being treated. With more than seven years of experience under each of their therapy belts, both Lindsay and Tara understand the need for family centered therapy and aim to provide just that! Tara shares ownership of Benefit Therapy Services with close friend and fellow Speech Language Pathologist, Lindsay Thomas. Tara graduated from University of Florida in 2007 with a Bachelor of Arts degree in Communication Sciences and Disorders and received a Master of Science degree in Communication Sciences and Disorders from Western Carolina University in 2009. During her tenure as an SLP, Tara has enjoyed gaining therapeutic knowledge and clinical experience in a variety of settings with a variety of age groups including birth to age 3, school age, high school, adult and geriatric populations. She has experience working with a variety of diagnosis including: Autism, Childhood Apraxia of Speech, Articulation Delays/Disorders, Language Delays/Disorders, Cerebral Palsy, Down Syndrome, Fragile X Syndrome, Klinefelter’s Syndrome, Beckwith-Wiedemann Syndrome, Cognitive Impairments/Delays, Sensory Disorders, Behavioral Disorders, Fluency Disorders, Feeding/Swallowing Disorders, Hearing Loss, and Traumatic Brain Injury. Tara seeks to improve the quality of life of each of her patients and their families by providing quality, researched-based and patient-centered therapeutic interventions. She believes that each patient and family is unique and looks forward to getting to know each individual and working closely with them to achieve their goals. In addition, Tara strongly feels that early intervention is vital to a child’s development of age-appropriate communication, social, and academic skills. Tara is nationally certified and holds a Certificate of Clinical Competency from the American Speech Language and Hearing Association (ASHA) as well maintains an active and current license in the state of North Carolina. She is married to Warren Green, an Apache helicopter pilot for the NC National Guard. They are the proud parents of Jackson, age six and Asa, age three. The Green family enjoys spending time in the outdoors, participating in community events and spending time with family and friends. Lindsay shares the role of co-owner of Benefit Therapy Services with her longtime friend and business partner Tara Green. She is nationally certified by the American Speech Language and Hearing Association and has her license to practice in the state of North Carolina. 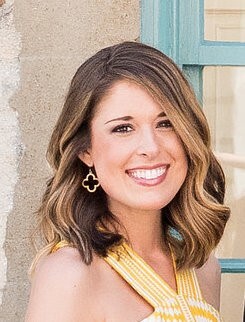 Lindsay graduated from East Carolina University in 2006 with an undergraduate degree in Communication Sciences and Disorders and shortly after attended Western Carolina University where she received her Masters Degree in Speech Pathology in 2009. During her tenure as a speech-language pathologist, Lindsay has worked with the birth to 3 and preschool populations, as well as with the school age, middle school, and high school populations. She has worked with children with diverse needs, including the following diagnosis: autism, childhood apraxia of speech, cleft palate, articulation delays/disorders, language delays/disorders, cerebral palsy, Down Syndrome, Rett Syndrome, cognitive delays/impairments, sensory disorders, fluency disorders, feeding disorders, hearing loss, and behavioral disorders. Lindsay also has experience with treating patients diagnosed with aphasia, dementia and traumatic brain injury. Lindsay believes that early intervention is vital to a child’s development of age-appropriate communication, social, and academic skills. She enjoys working with clients and their families to facilitate improved communication and social interactions as well as to promote carryover and generalization of learned skills into all environments for both pediatric and adult patients. Lindsay is married to Joel, an apache helicopter pilot for the United States Army and is the proud parent of two children, Lilly Rae, age five and Rylee, age four. Lindsay’s oldest daughter Lilly Rae was diagnosed with achondroplasia, the most common form of dwarfism shortly after birth. Through her journey to gain appropriate care and therapy services for her daughter, Lindsay has become passionate about advocating and educating parents on the importance of understanding their child’s diagnosis. Leslie is a licensed and certified speech-language pathologist who spent her undergraduate years at the University of Louisiana at Lafayette (Ragin’ Cajuns!). She attended LSU Health Sciences Center in New Orleans where she received her Masters of Communication Disorders and then completed her clinical fellowship at the University of Alabama at Birmingham Civitan-Sparks Clinics. She has since worked in a variety of settings with both adults and children including skilled nursing, private practice, and home-based early intervention. In recent years, her focus has been on early developing and school-aged language using a functional and fun approach. With younger children, Leslie empowers parents to create and elicit meaningful language in a variety of settings through education and demonstration. With older children, Leslie addresses reading and auditory comprehension using Linda-Mood Bell’s Visualizing and Verbalizing program and aids in writing skills using the program Step Up to Writing. Throughout her career, she has worked with populations presenting with diverse needs including: articulation/phonology disorders, autism, aphasia, childhood apraxia of speech, cognitive-linguistic dysfunction, dementia, Down Syndrome, dyslexia, dysphagia, executive functioning needs, fluency disorders, hearing impairments, oral-motor dysfunction, Parkinson’s Disease, and traumatic brain injury. 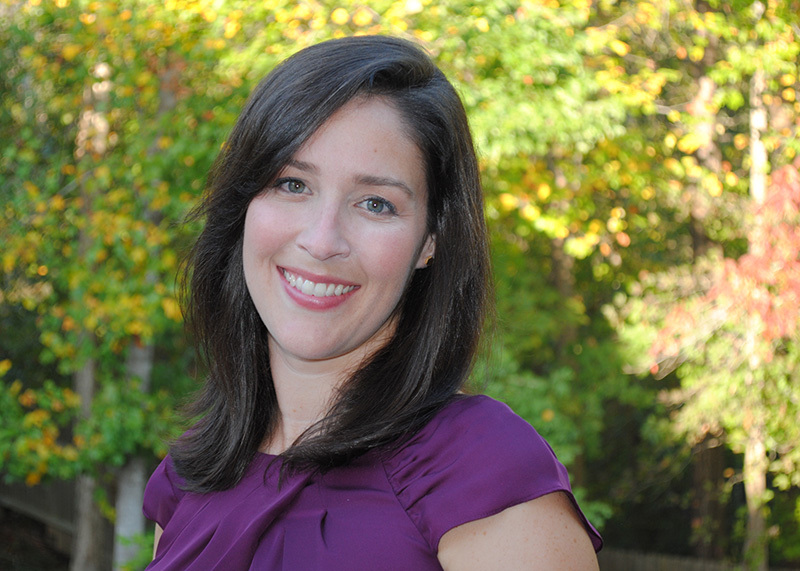 Leslie holds a North Carolina license in Speech-Language Pathology as well as a Certificate of Clinical Competence from the American Speech-Language and Hearing Association. Leslie has recently relocated to Holly Springs with her husband Bo and puppy Charlie. During her free time, she enjoys painting, drawing, cooking Cajun food, and exploring the Raleigh area. 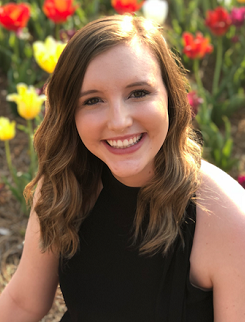 Tori was born and raised in Forest City, NC where she volunteered many summers at a day camp open to Rutherford County Schools Exceptional Children students ages 5-18. This opportunity led her to pursue a career in Speech Language Pathology upon graduation of high school. Tori graduated from North Carolina State University in 2016 with an undergraduate degree in Public and Interpersonal Communication and a minor in Psychology. While there, she conducted research related to the field of Communication Sciences and Disorders and was the lead author and presenter of a presentation on an acoustic analysis of speech. She then attended Western Carolina University to complete her Masters degree in Speech Language Pathology in 2018. During her time at Western Carolina University, Tori had the opportunity to work with patients and clients in a variety of settings, including a preschool, elementary school, inpatient hospital, outpatient hospital, home health, and the university clinic. This allowed her to gain diverse experience across the lifespan in both assessment and treatment of individuals with the following diagnosis’: autism spectrum disorder, Fragile X syndrome, Down syndrome, central auditory processing disorder, apraxia of speech, Cerebral Palsy, articulation delays/disorder, language delays/disorder, sensory processing disorder, cognitive deficits due to dementia, stroke and traumatic brain injury, aphasia, dysarthria, and both adult and pediatric swallowing difficulties. Tori is currently a Clinical Fellow in Speech Language Pathology and is excited to continue learning and gaining experience in individualized treatment for each of her patients. She now resides in Raleigh, NC where she continues to stay involved with the NC State alumni community and enjoys pulling for the Wolfpack at Carter Finley Stadium during football season. She has a strong passion for this community and is excited to be back in the area doing the job she loves! Pam joined our therapy practice in March of 2018. She has been in the healthcare field for more than 20 years. 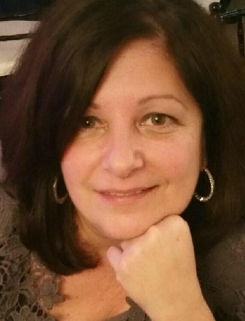 She is originally from Long Island, NY where she was trained as a chairside dental assistant. 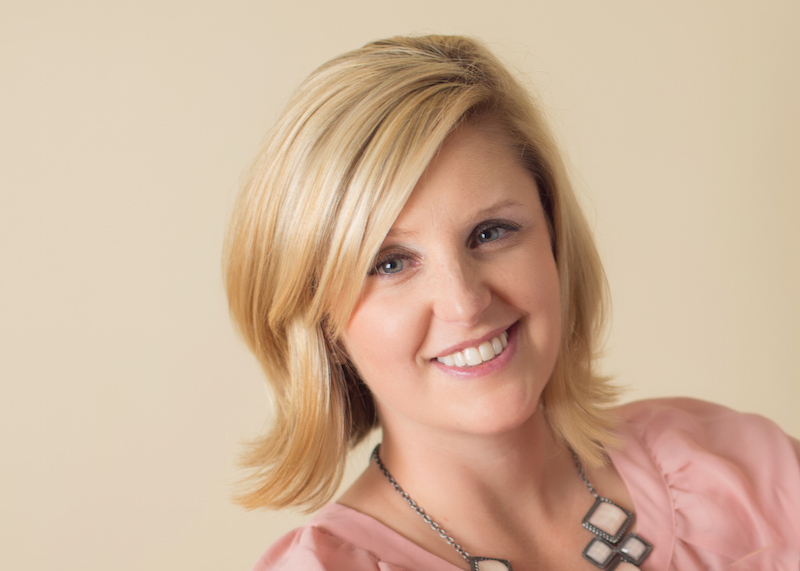 After moving to North Carolina in 2000, she gradually redirected her career to the administrative side of dentistry and recently decided to take a giant leap into the field of Speech Therapy. Pam enjoys being a part of the Benefit Therapy Services team and loves interacting with patients and their families. She feels like they bring a little extra sunshine to her day. Pam likes spending time with her family and sitting on the porch with her grand kids and her dogs.